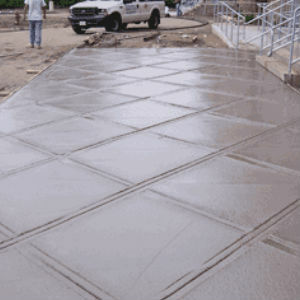 Concrete By Design, LLC offers many commercial concrete services in the Atlanta area. If you need a project completed by a competent concrete company give us a call at (678) 378-5963. If you aren’t sure what you need, call and we would be happy to help you make an informed decision. 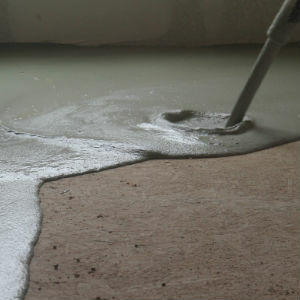 Stained concrete is a very effective solution for many commercial entities like restaurants, warehouses, schools, etc. 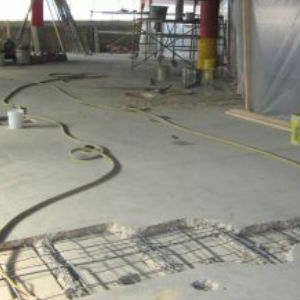 We have developed a special process of leveling concrete to repair commercial flooring. 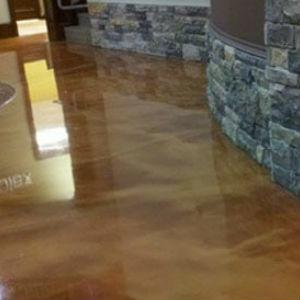 Epoxy coated floors are great for hair salons, foyers, garages and more. 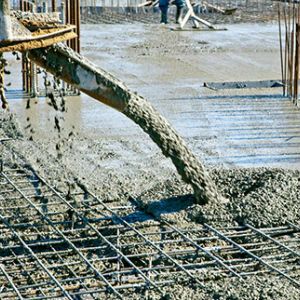 We offer delivery and forming of concrete for new commercial projects. 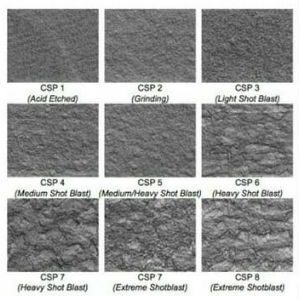 Concrete grinding, profiling and etching services are provided to enhance the outcome of coating applications. 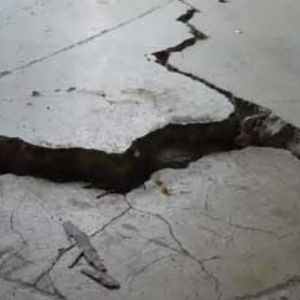 Repairing concrete can consist of cracks, chips and uneven concrete. You may have hired a company to apply a coating to your floors and it is bad. We can remove it too! 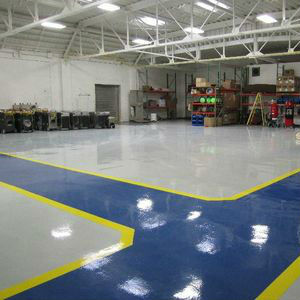 Industrial flooring with heavy traffic wears out and with OSHA regulations it is important to keep your floors marked. 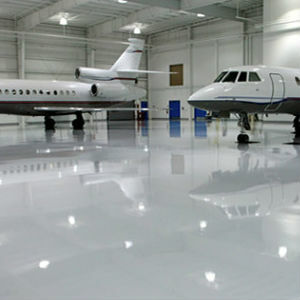 Resurfaced concrete flooring with a epoxy and even have non-slip surface for walking paths. This makes the atmosphere cleaner and healthier in the basement and saves money on utility bills. Need Branding? We create a beautiful alternative that can showcase your logo indoor or outdoor. We install sidewalks, driveways, parking garages, ramps and foundations. 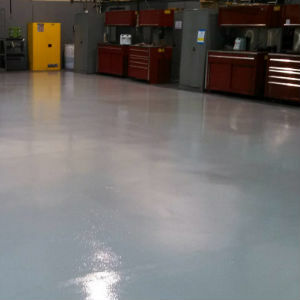 Providing resurfacing using high gloss epoxy systems for specialized areas. We can also create non-slip surfaces for walking paths in your commercial spaces. Getting interior and exterior concrete stained enhances the curb appeal of your home as well as making cleaning your home easier and makes the rooms look beautiful. Do you have a patio or driveway that is uneven and cracking? We can repair the cracks and level the concrete making it safer for everyone. We are experts at making your garage floor look seamless and stunning. Using a multitude of systems that can create a variety of looks, your garage will be the talk of the neighborhood. 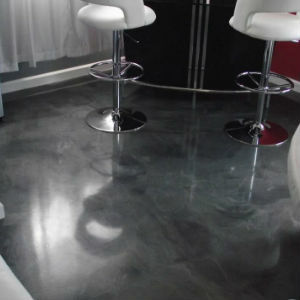 We can transform concrete floors into beautiful flooring that enhances the room and decor. We can design, install and create a unique stamped driveway, patio or cooking area for your enjoyment. Is your concrete surface cracked, chipped or just unsightly? 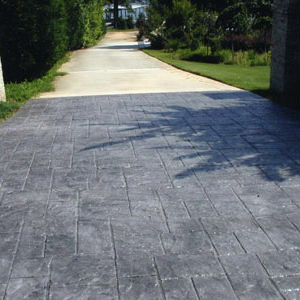 We have the knowledge and equipment to give you the facelift for your concrete that you desire. Old concrete can start pitting and cracking as time goes on. 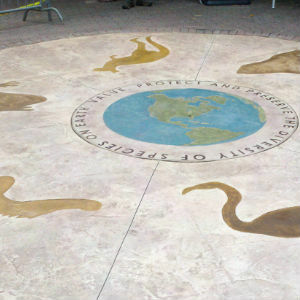 We can not only make your concrete look like new but we can create a stamped concrete with a unique acid stain. 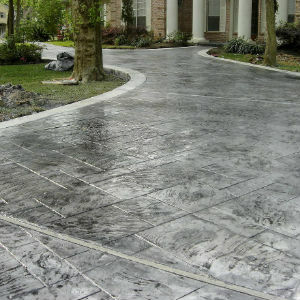 Make your neighbors envious with a beautifully stamped and stained driveway. 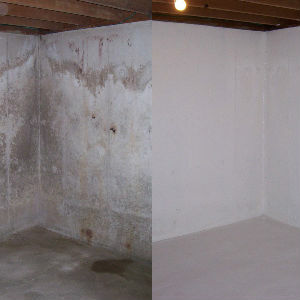 Moisture in basements has long been a nagging problem. Concrete By Design can offer long-term effective solutions. Make your swimming pool a showcase with our stamping and staining service. We specialize in Decorative concrete. 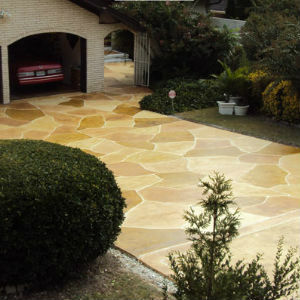 Decorative concrete patio staining makes a great entertainment area in the backyard. Kitchen laundry rooms, bathrooms, great rooms... we can provide your home with stunning interior surface that will modernize your space and deliver the WOW factor to all who see it. Concrete by Design, LLC has been providing concrete staining services to commercial clients all over the Atlanta area for many years. 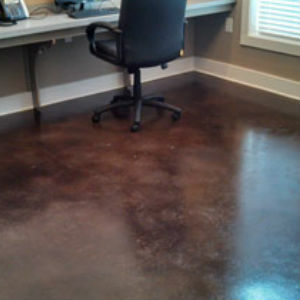 From staining concrete in Newnan, Fayetteville, Peachtree City, and other areas outside the perimeter of Atlanta to interior concrete floors for businesses within the perimeter, we strive to offer the entire metro area and surrounding cities our quality work. We have a deep passion for delivering high-quality concrete flooring projects to each and every commercial client we come in contact with. 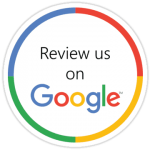 We pride ourselves in our clients enjoying the option they chose for their business. When you contract us to do your interior or exterior stained concrete floors, you can always rely on our expertise to create your beautiful concrete floors. 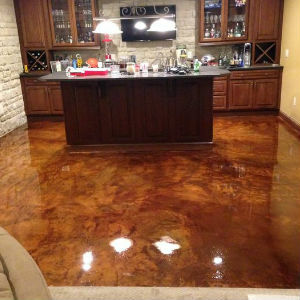 We have specialized in concrete staining and coatings for over thirteen years. If you want beautiful concrete floors that will last a lifetime and have very low maintenance, contact us today to learn more about our concrete staining methods or any of our concrete resurfacing options. We can build and restore commercial driveways and parking lots to enhance your curb appeal.